I'm quite impressed with how you managed to complete all these assignments. You should be really proud of the work you've done. It was great working with you. Best of luck in your future endeavors! 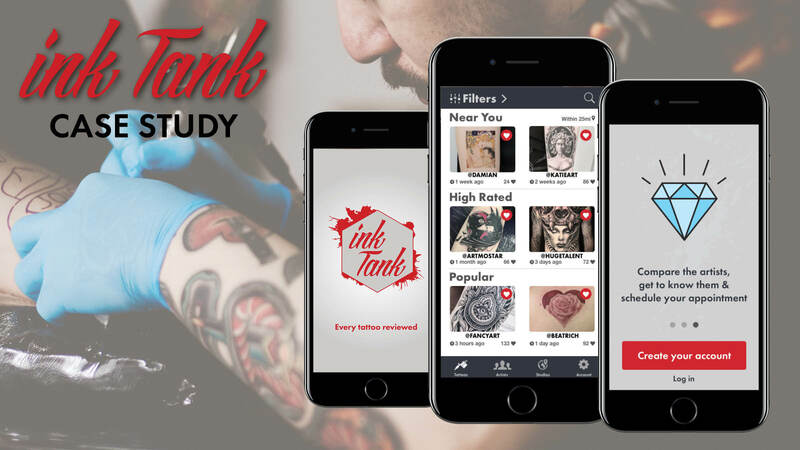 Ink Tank is an app that helps people make better decisions when getting a tattoo. 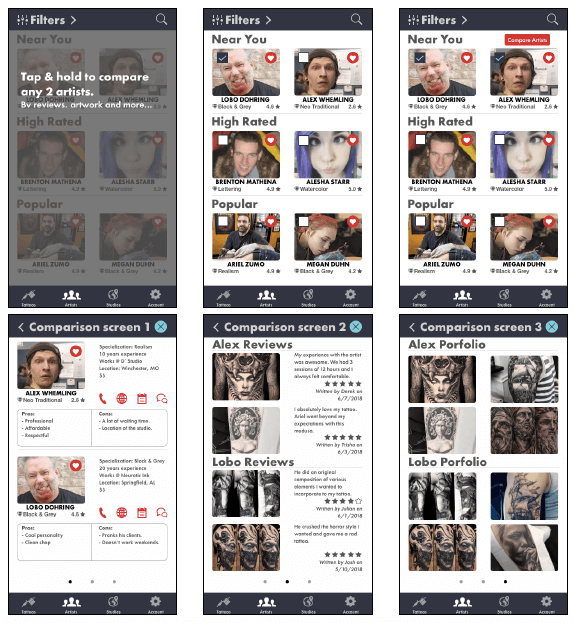 It empowers people in the process of getting a tattoo by filtering according to preferences such as popularity, artists skill-set, reviews, and distance from a location. My role was to develop an MVP ready to hand off to developers. Utilizing a User-Centered Design process I collaborated with a tutor and a mentor, remotely, using tools like Skype and a web platform. 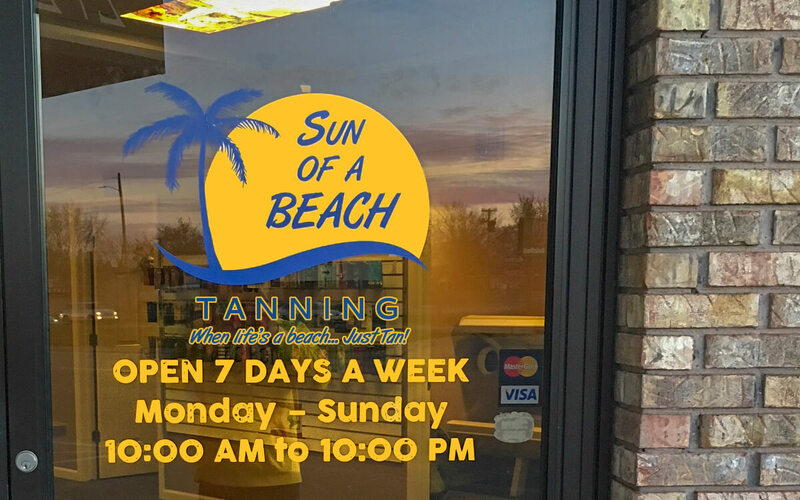 Based on the Tattoo Statistics of Statistic Brain Research Institute – 17% of the people ages 18-40 in the United States partially regret getting their tattoo. 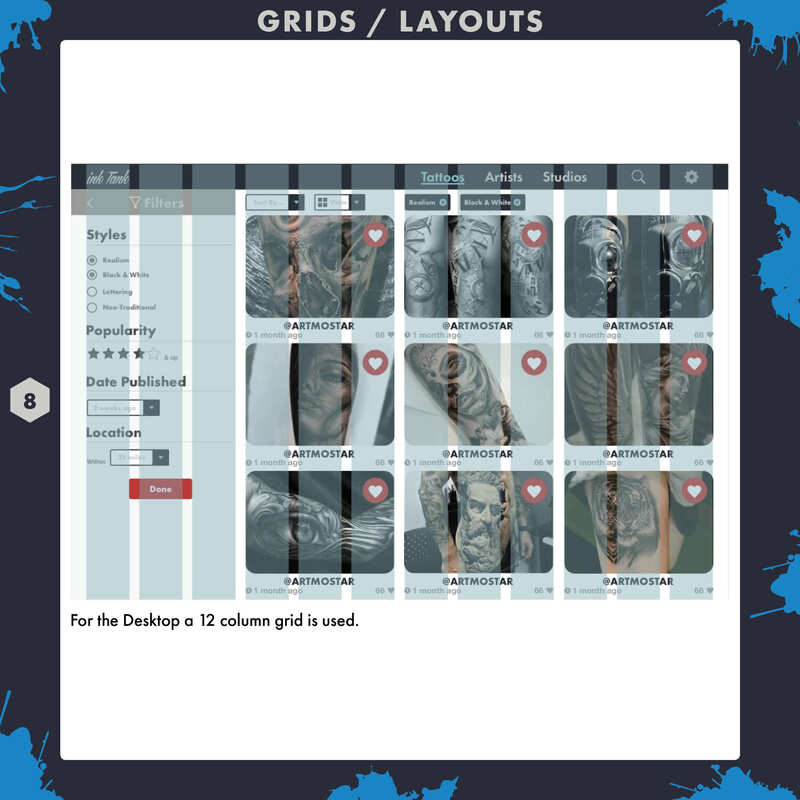 People who are interested in getting tattoos needed a way to look at tattoo artists portfolios and prior clients reviews in the same place because they need to know if the artist is capable of doing a good job and is highly recommended by others. 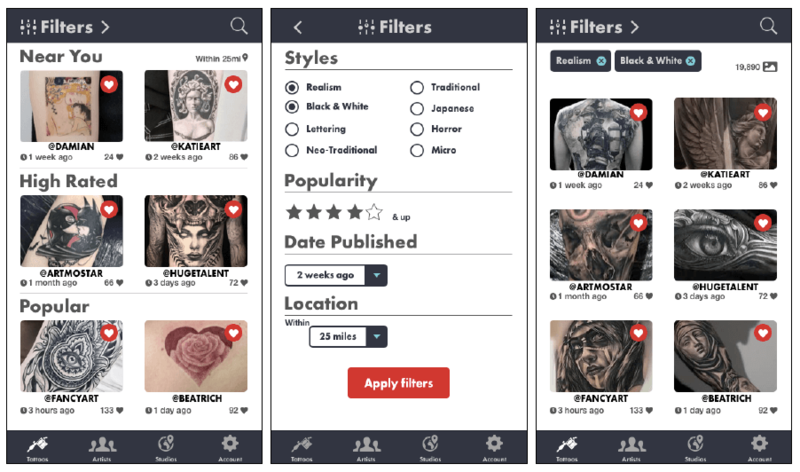 By providing a service where artists can upload their work and people have a rating system for the tattoos, users will be able to build trust in the artist skill set before committing to an artist. We’ll reduce regret and empower people in the process of getting a tattoo. 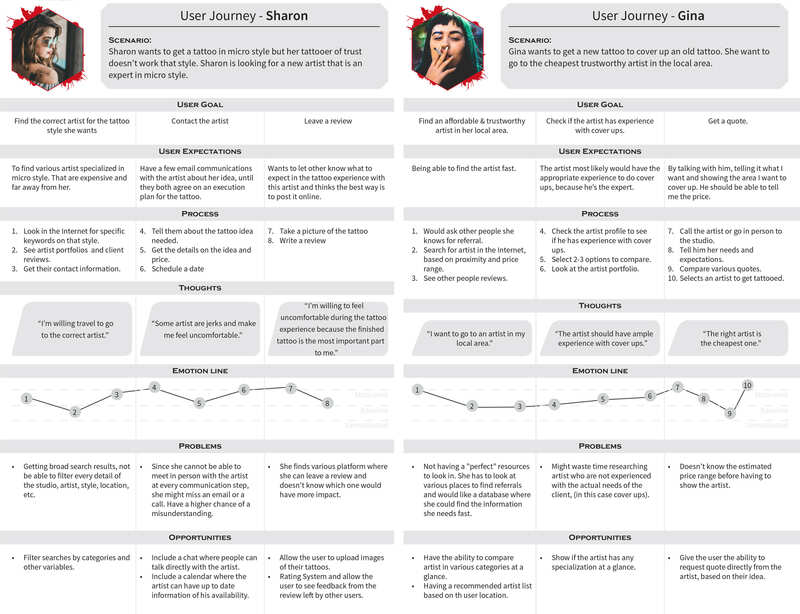 In a highly saturated market, the two most relevant product competitors were chosen to perform a competitor profile and UX analysis. 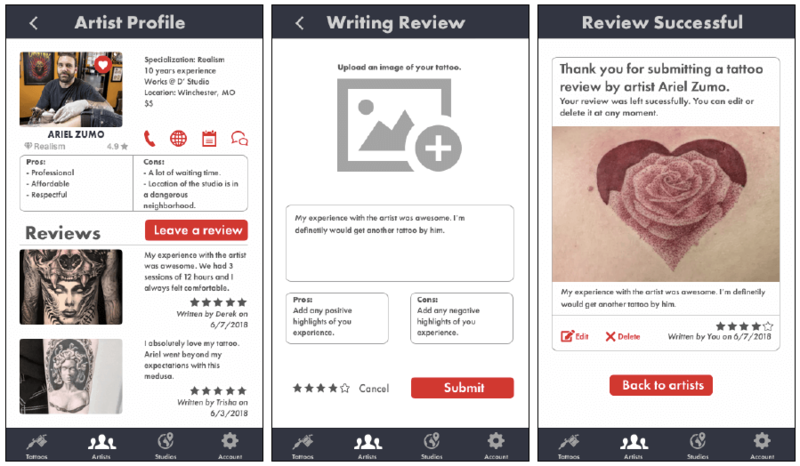 Three user interviews were conducted to get a deeper understanding of our targeted audience and know their needs to further help them with our product. 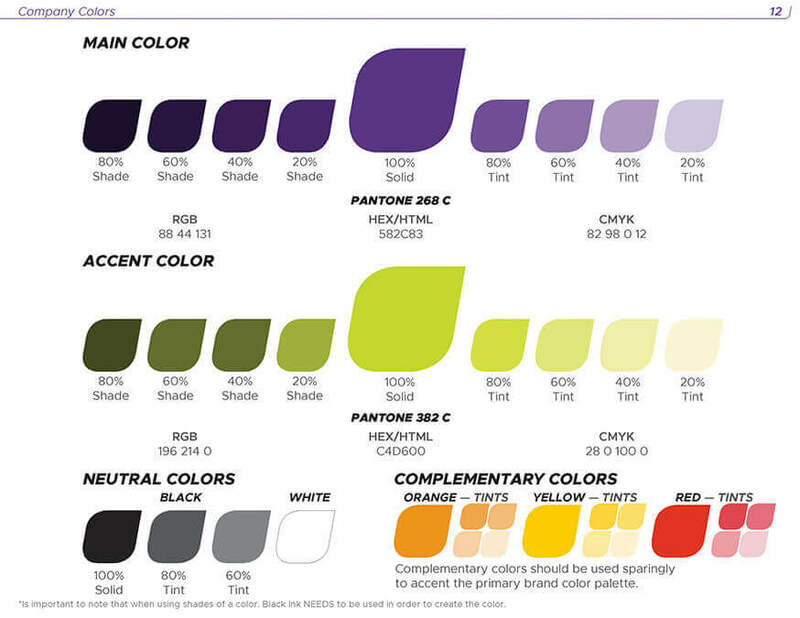 • Find out which is the most common method used to get a reference when choosing the correct tattoo artist. 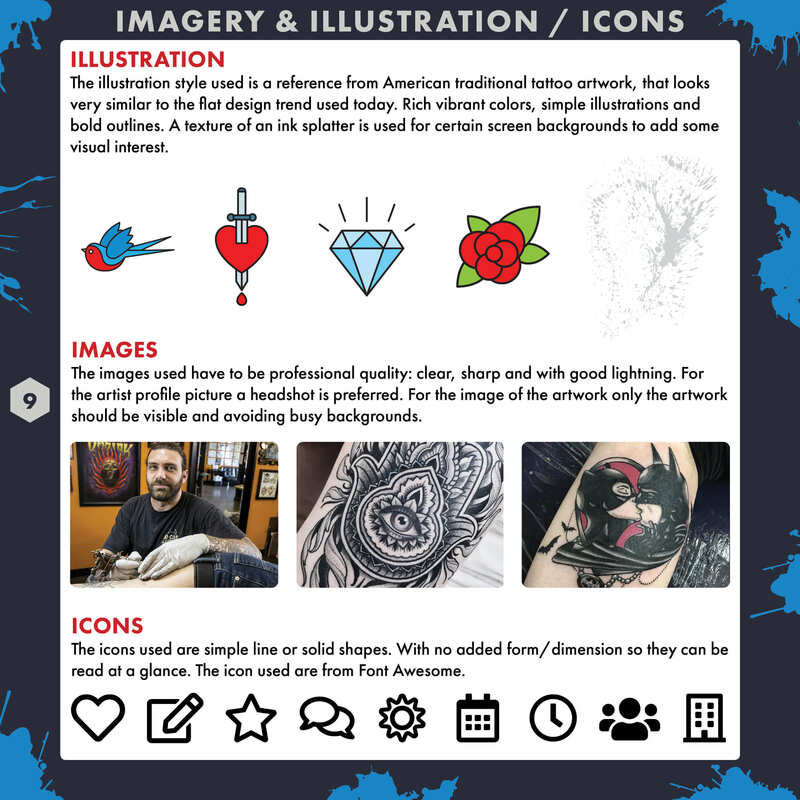 • What makes the ‘getting a tattoo experience’ successful. The finished artwork? The research process? or the interaction with the artists? 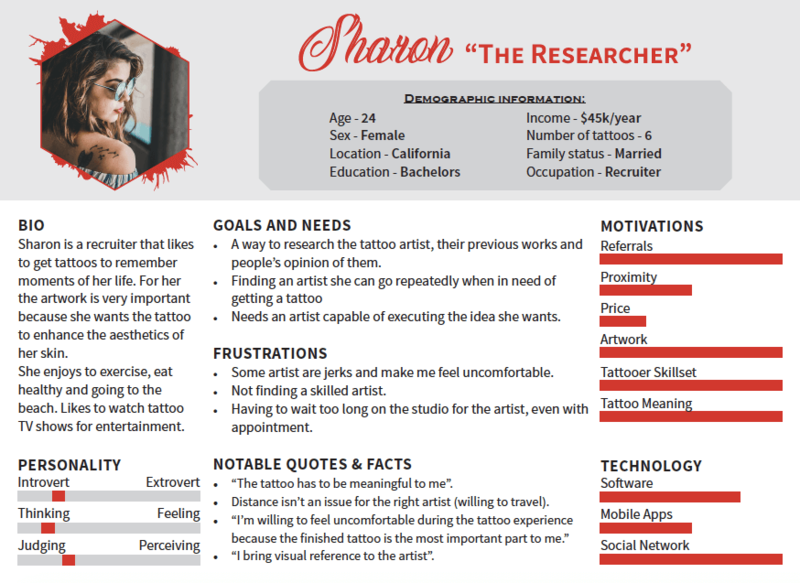 Research revealed that the users are people with tattoos that are highly motivated by artwork, referrals, and tattooer skill-set. In light of this findings, we wanted to focus our product on displaying these characteristics and making them easy to find within the app. 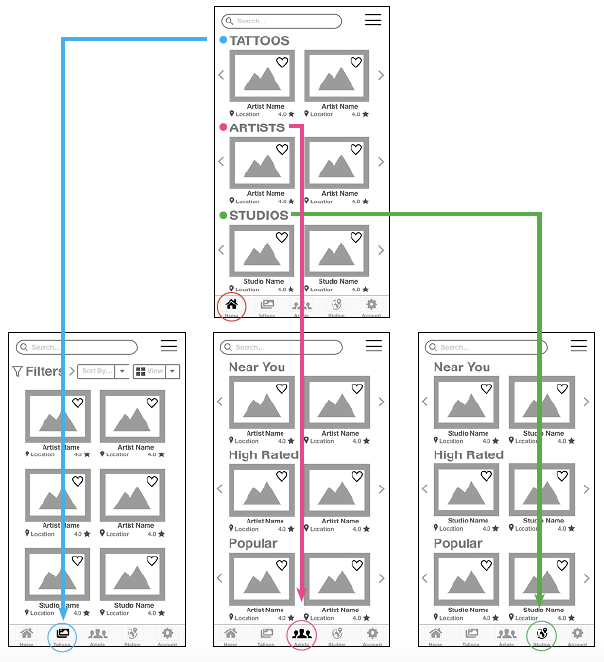 Affinity mapping, card sorting, competitor content audit and task analysis were used to form the sitemap. 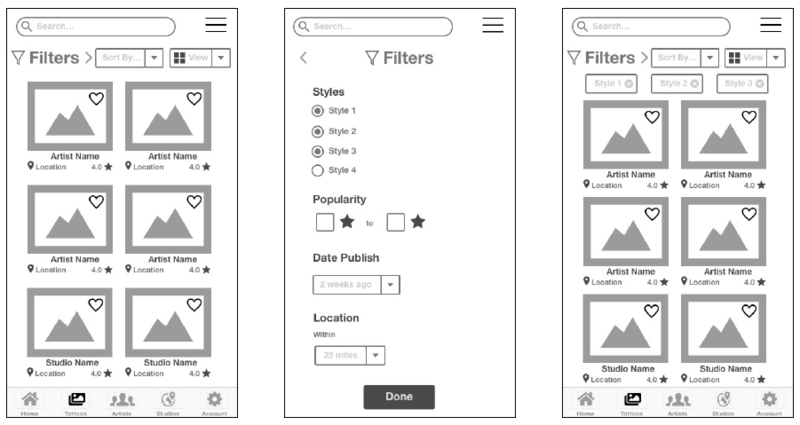 The initial idea for this wireframes was to have a button in the artist page that would unlock a search function to compare the artists. This option did not work well because the user would have to know the artist name. Plus it added unnecessary steps to the flow. Four usability testing was conducted and these were a combination of moderated in-person & remote. Usability test results can be seen here. The five issues found during the usability testing were. 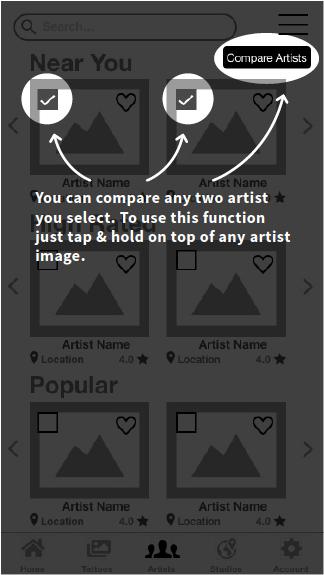 Users weren’t able to complete the task of comparing artist side-by-side. Even though some users reveal the check-boxes by accident they were unable to assume how the feature worked. After being explained how the feature works, user shared that it was simply too hidden for them to know how it worked in the first place. 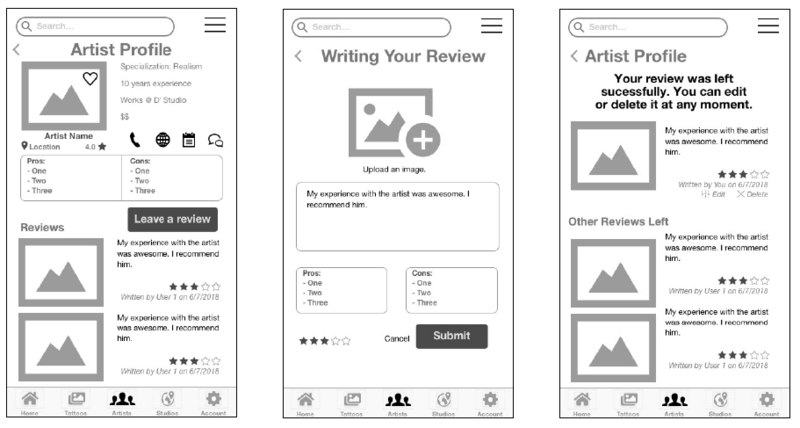 Adding a coach mark that teaches first-time users how to use the feature will help the users to learn the feature and be able to rely on memorability once they need to use the feature again. The overall app was to content heavy. Quotes and observation like these: “It is not clear to me, what I'm supposed to do in the app.” “Make the app more simple (friendly).”, Felt trapped by the navigation not knowing where to go next. Helped to uncover this issue within the prototype. 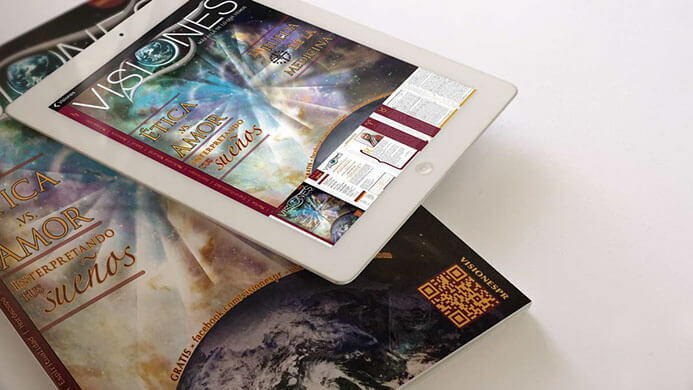 Eliminate the overflow menu and limit the option of each screen to 1 main function to avoid confusion. Home tab is just echoing the content of what other sections offer. Overall most participant just felt confused as to what the Home screen is there to do. Use the Home screen to display new content of the artist the user is following in his account or similar/ relevant content of what the user has like previously. The content display on each screen was generic. All participant reported that they expected beforehand that the most important content is what should come up first. What’s important to each individual user is different that’s why we need to use the information available on each person account to filter the content that is important to them. Users didn’t know they had a way to make an account. 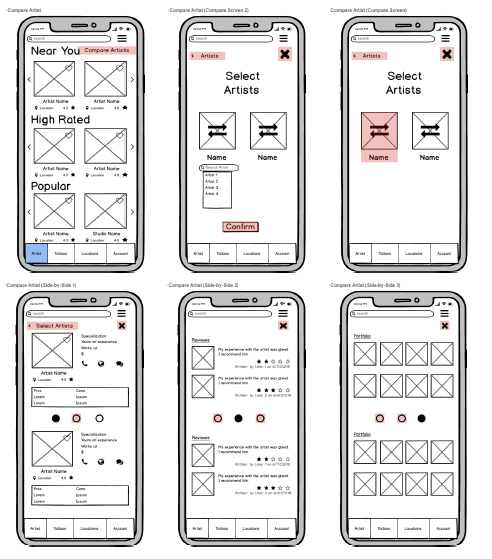 When interacting with the prototype, everything felt generic to the users and didn’t felt emotionally connected to the product. Having an account should be a requirement before being able to navigate the app. 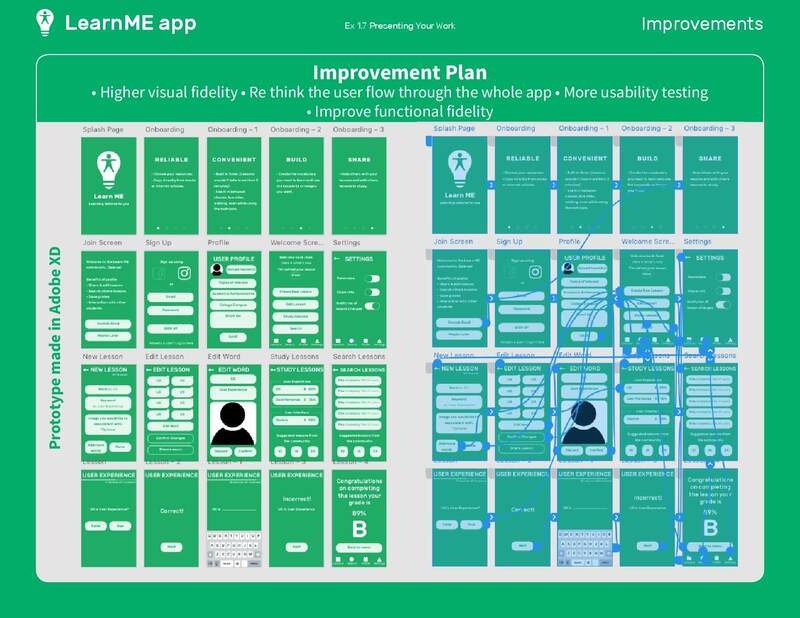 In order to help each user feel like they own a space and that the app is about helping them get the most value. 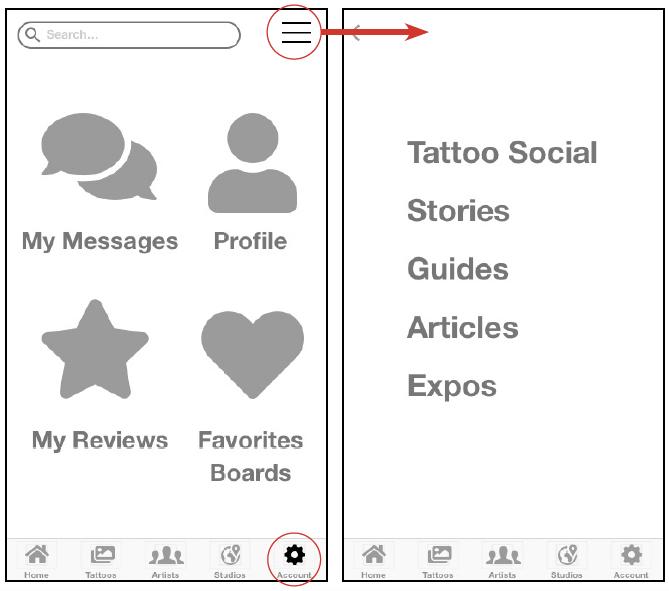 • The filter icon was confusing for some user so it was changed to a more universal icon. • The language in the confirmation changed from Done to Apply filters. • After the filters were applied an indicator of how many images the search return was included to give the users the idea of how long the gallery is. The change made in the ‘Review successful’ screen. The option of going back is taken away from the users, and other people reviews are taken away (because they were unnecessary) and a button is placed to go back to the artists' page. 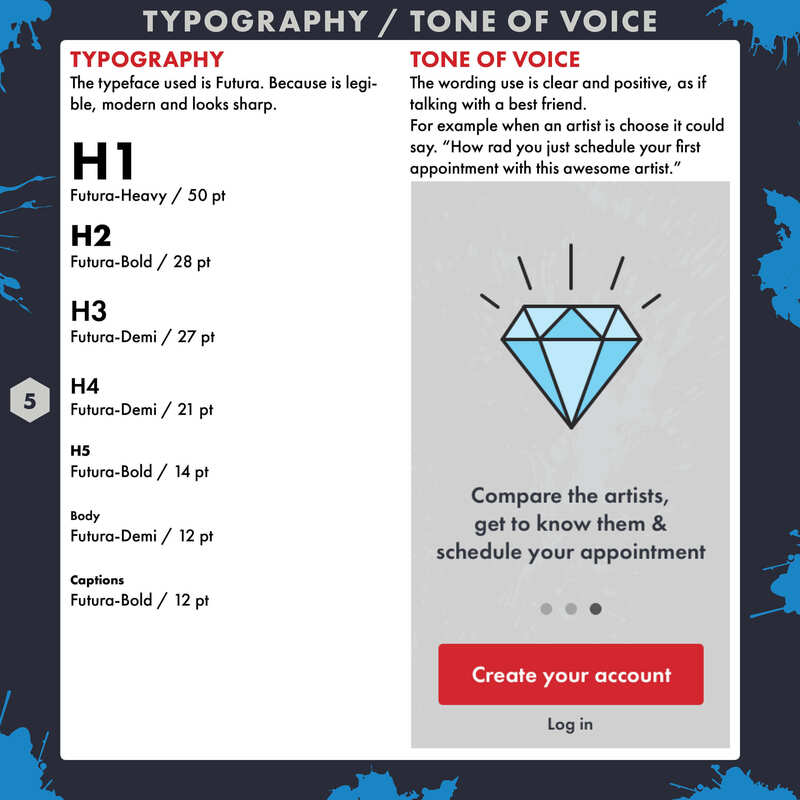 For this version, the compare artist function was hidden in a tap & hold gesture. 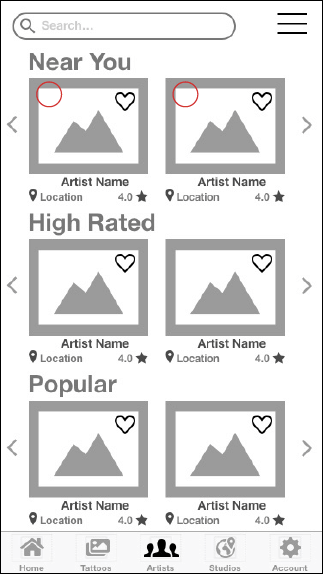 Which then would unlock a checkbox feature for the person to tap on the desired artists. The problem found in user testing was that the participants had no idea that function existed, therefore making it impossible for them to achieve the function. This time a coach mark was placed for first-time users to inform them about the checkbox feature. Which enable them to easily achieve the function. As a personal development choice, transitioning to a new industry is one of the hardest things I've done in a long time. Balancing a full-time job as a graphic designer while learning User Experience principles and having to deliver this tasks on time was at often times though. That said I believe that UXD is a beautiful field where you can corroborate assumptions and interact with other people. 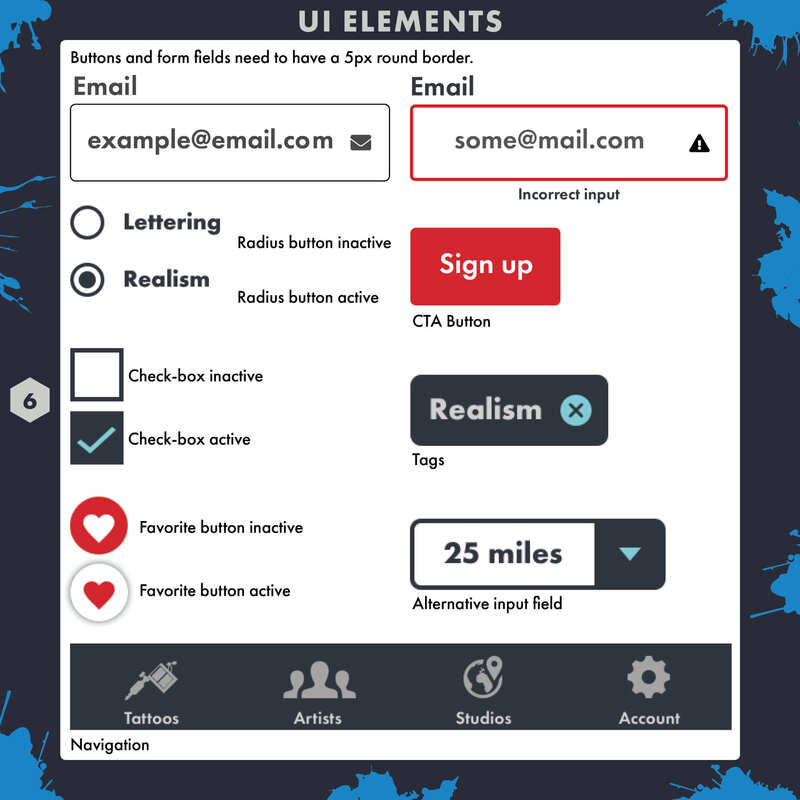 Because of the broadness in this field, there's a lot of different duties a UX designer has to execute. I'm glad I had a caring tutor & mentor along the way, in which I was able to pour all my doubts and fears. Also, it was great to have a community of students who were open to sharing their suggestions too. If I had to do it again, I would enjoy having more teamwork or distribution of tasks. 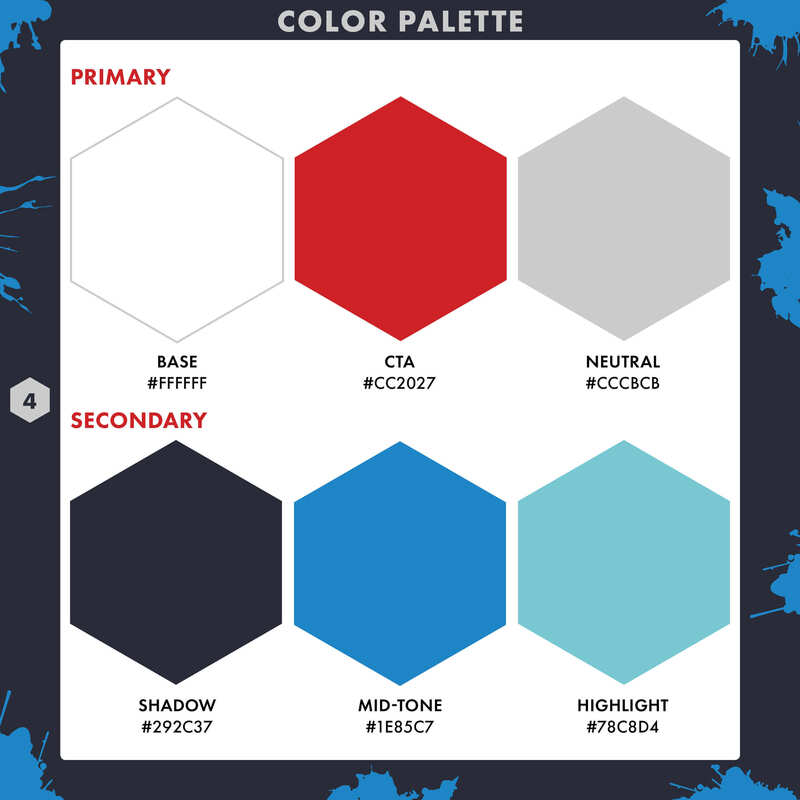 As a single designer, it was time-consuming to have to do everything by myself.